Alaska is the ultimate outdoor destination in North America, filled with huge scenic vistas and sprinkled with wildlife. They say everything is big in Texas, but it’s bigger in Alaska. No other state has as much preserved land as Alaska, and few have anywhere near the diversity of dramatic sites. Jaw-dropping scenery seems to grow everywhere in Alaska, and unlike the lower 48, where development seems to sprawl at the foot of every photogenic landmark, you can literally walk for days without seeing evidence of man. Rent a motorhome and drive as far north as is possible in North America. Hop a cruise ship or ferry and watch the scenery pass you by. Travel to Denali National Park by rail, in some of the best rolling stock in the country. Kayak Prince William Sound, Glacier Bay, or the Inside Passage. 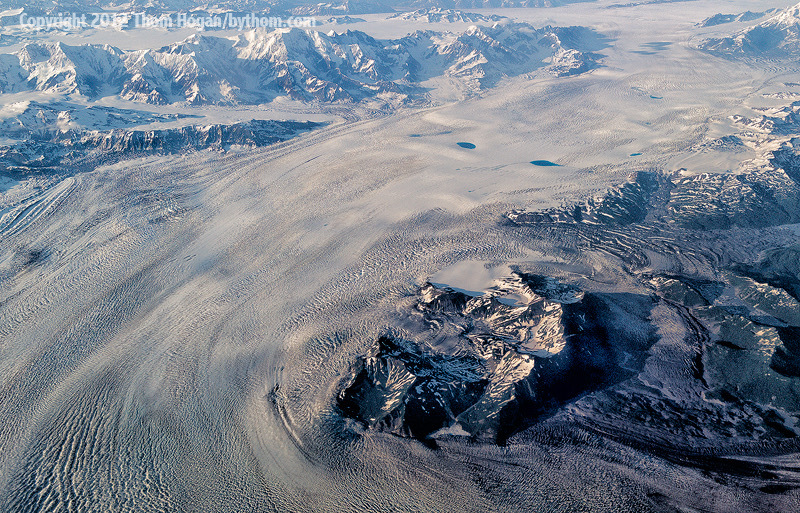 Charter a bush plane or helicopter for the bird’s eye view of a glacier. Come in late winter and learn to mush a dogsled. The list of ways to explore the 49th state is virtually endless, and once you’ve been there, you’re almost sure to return, and return, and return. Why Go? Dramatic landscapes that seem to go on forever and as much as 24 hours of daylight to shoot them in. Lucky Shot Any full-frame shot of a grizzly in the wild that you survive to brag about would be lucky (it doesn’t count if you get it at one of the established bear-watching platforms on Kenai Peninsula or Admiralty Island). From a photographer’s viewpoint, Alaska provides two wonderful tableaus, sometimes simultaneously. On the one hand, you have landmark scenics that just beg for the widest lens you own (Denali, Mendenhall Glacier, Brooks Range, etc.). 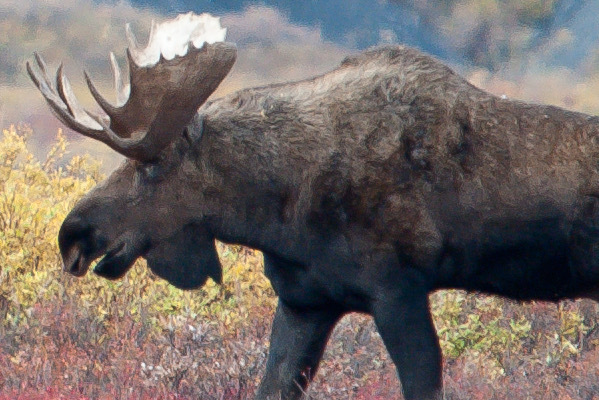 On the other, there’s the wildlife (bears, eagles, moose, and whales for starters), which will have you reaching for the longest telephoto you've got. Yet, there’s plenty in between, too, with some of the most scenic small towns in America (Sitka, for example), colorful shops and locals, and much, much more. Personally, I think the best way to visit Alaska is to string together several shorter, different types of trips. 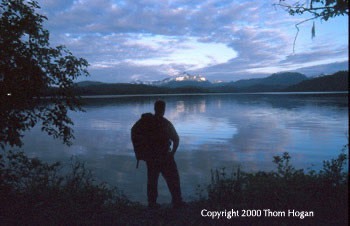 Take the "blue canoe" (Alaska Ferry) up the Inland Passage to start your trip in a leisurely, comfortable fashion. Jump off at Juneau to kayak Admiralty Island and bear watch. Fly to Anchorage (preferably on a small plane) and take the train to Denali National Park. Hike the park for a few days before returning home or extending your trip with yet another adventure. Next time you go, drive a rented motorhome to Fairbanks, take a hike in the Brooks Range, visit another national park (there are plenty to choose from in Alaska, including several of the least visited parks in America), then spend a day or two in Sitka to take in the Russian Orthodox church and Klinget Museum on the way home. Get the idea? Mix and match first-class destinations to your heart’s content. Don’t worry, you won’t run out of possibilities. Glaciers (from the water in Prince William Sound, up close on foot at Mendenhall). Denali. But give yourself enough time in the park to make sure you get to see it; the mountain has been known to hide in the clouds for days. The Inside Passage. If you can’t afford a cruise, hop the afjordable (sorry) Alaskan Ferry. Any part of the state from the air. Find yourself a bush pilot and explore the vastness in the only way you can begin to fathom just how big this place is. Mosquito repellant with DEET in it chews up the plastic parts of digital cameras faster than a bear can chew through you. Wear long-sleeved and legged clothing, plus invest in a good head net. Companies like Columbia and Ex-Officio now sell a wide variety of permethrin-treated clothing that repels bugs. You’ll see them under the Buzz-Off or Insect Shield trademarks. These work well for keeping mosquitoes from landing on you and biting, but don’t always keep them completely away from you. If you must use DEET, be very careful not to have it on your hands or face when handling your camera. You shouldn’t approach any of the large mammals, so bring a very long telephoto lens and maybe a teleconverter (see African Safari advice). The Denali park service, for instance, requires that you keep a quarter mile from bears. That means you’ll need a very long lens to get reasonable shots of bears. Indeed, 500mm and 600mm lenses are common sights throughout Alaska. It gets quite cold, even in summer, especially near the glaciers. Lithium batteries work better than other types in the cold. Keep an extra set of batteries warm in an inner jacket pocket, and swap sets when the cold zaps the ones in the camera. It isn’t really the cold sucking the voltage out of the batteries, it’s that the cold increases the resistance within the battery, making the transfer of energy difficult. Thus, if you keep your batteries warm by doing regular swaps, you’ll get nearly the same number of shots per charge as you do normally with lithium batteries. If you move from warm lodging to cold outdoors, or vice versa, condensation can be a factor. Put your camera in a zipper-lock bag and remove all the air in the bag before going back and forth. Or, get in the habit of leaving the camera outside. Theft in most areas of rural Alaska is not unheard of, but it’s rare. At places like Camp Denali and North Face Lodge, it’s very safe (from humans) to leave gear outside your room. But be sure to ask about creatures that might be interested in your gear! I’ve watched it go from completely sunny to torrential rain in less than two hours. Always take a waterproof outer layer with you on hikes, as well as one or more warming layers. Also make sure that the camera brings protection, too. Bears are everywhere. After spending two weeks on the island with densest concentration of bears on the planet (Admiralty) and not seeing even one, I found myself face to face with a mother and her cub alongside the main highway only a couple of miles outside downtown Juneau. Even downtown Anchorage tends to get bears dropping by from time to time. Carry bear spray if you’re going outside town or onto a trail. Read the brochures available at every information center. Watch the cautionary video at Denali NP. Be prepared, and don’t panic when you do encounter a bear. If you act correctly, you’ll walk away with your own close encounter story to tell. If you panic, you may not walk away. Alaska is one of the most tourist-friendly places in the world. The residents are friendly and talkative, crime is low outside of perhaps Anchorage, information and advice are easy to come by, and there are an overwhelming number of options at every stop. In virtually every town you’ll find hiking trails to explore, plane or helicopter tours to take, boating or kayaking opportunities, and a wealth of interesting side visits to make. Ask a local and you’ll receive an earful of interesting things to check out. Surprisingly, a really good "how-to" book doesn't exist for aspiring Alaskan photographers (hmmm, maybe I should plan more Alaskan trips and do my own). But two excellent inspirational books are Galen Rowell's Alaska: Images of the Country (this Sierra Club reprint includes excerpts from John McPhee's classic "Coming into the Country") and the more recent coffee table wonder by Art Wolfe and Nick Jans, simply titled Alaska.